Props from Barnes and Noble! 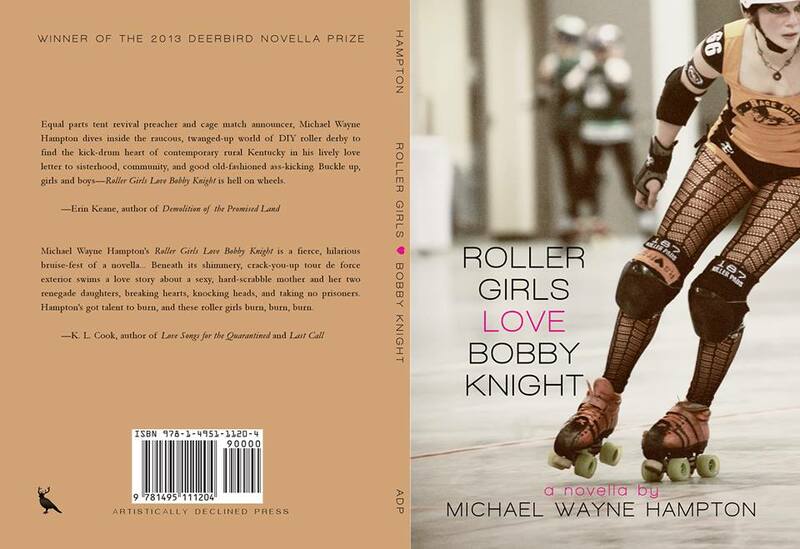 My latest book Roller Girls Love Bobby Knight gets props from Barnes and Noble. You can read the article here. All the dead time spent with my head down trying to make it through the cold and the semester has passed, and now I’m in the thick of book work. Last month was a good start, but this month and the following are stacked with writing, revising, and hopefully more readings. Last month my short story collection Romance for Delinquents was reviewed by Vickie Weaver in Word Riot, and I’m in debt to her for all her kind words. Speaking of kind words, poet Erin Keane and author K.L. Cook were nice enough to blurb my upcoming novella Roller Girls Love Bobby Knight. I spent some time last month doing final edits, and the cover is set now. On the 27th it’ll be released by Artistically Declined Press, and until then it’s available for the pre-order price of 8$ here. In addition to the day or two spent doing final edits last month, I was fortunate to be invited to read as part of the Folk and Fiction reading series at The Listing Loon in Cincinnati. It was a great time, and I was happy to share my work with the readers and young writers who came to the show. The biggest news I received last month was that I’d won an Individual Excellence Award from the Ohio Arts Council. I’m deeply thankful for their generous grant, and support of my work. The revisions for my punk rock Y.A. novel are coming along, but revision in this case is the wrong term as I’m more or less writing an entirely new book based on my original manuscript. I’m making progress though, and hope to have the new version done by the end of May or first two weeks of June by the latest. Once that’s finished I’ll be able to get back to writing the literary fiction novel I put aside to work on my revision. I have time enough at last, and the letters are falling where they belong. I’m doing all I can to stay ahead, and roll on.